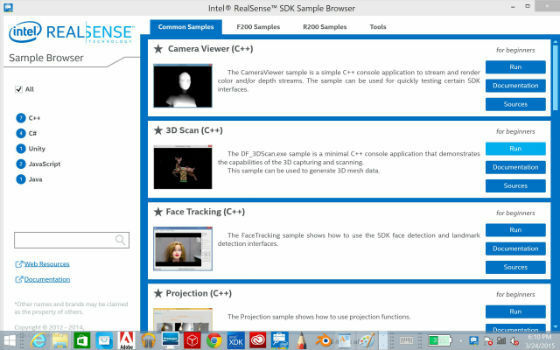 The most recent SDK for the Intel® RealSense™ F200 camera now includes 3D scanning. This is an amazing feature and will allow developers and digital artists to scan in real world objects to use in their projects. One use case is to scan in a real world object and use in Unity. This is a 3 part blog series that will walk you through the process. 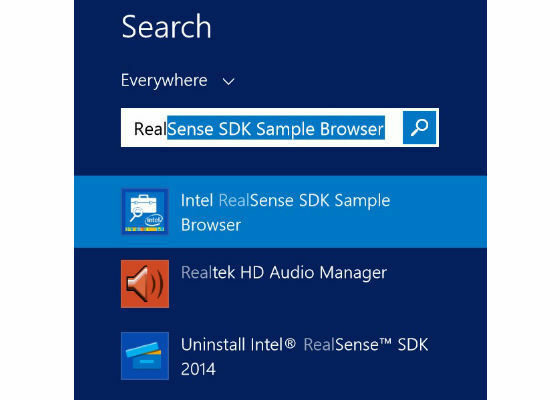 Using the Intel® RealSense SDK to Scan. In the Sample Browser you will see there a Section for Common Samples. These are samples that will work on both the F200 and R200 cameras. 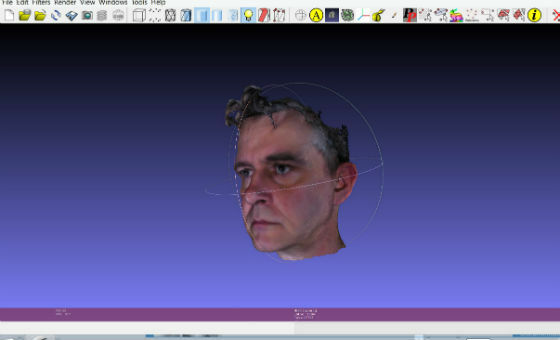 Find the Sample called 3D Scan (C++) . If part of the object is rotating and another part is still, it will confuse the tracking algorithm causing a bad scan. ie If you are scanning a human head, do not turn the neck to scan as that will create a bad scan. Instead rotate the entire torso visible to the scan as a solid object. Put the object in front of the camera and you will see it in view of the scanner. Hold it still until the second window pops up. 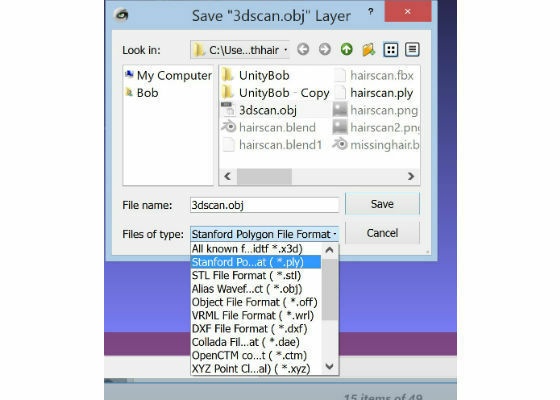 The OBJ Format is the default format you get from the scan. 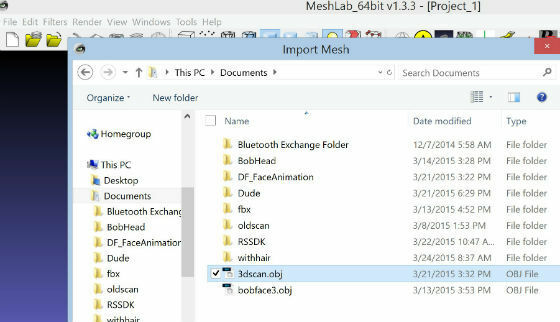 You can convert to a PLY using a free tool call MeshLab. After importing your object may be on its side. 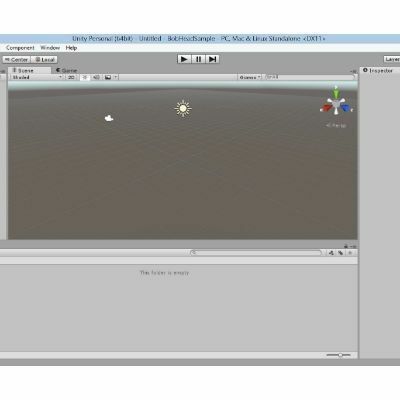 You can left click at the bottom of the object and drag up to rotate the object and examine it. You should see the mesh textured with color. The color information is stored as Vertex Colors, meaning each vertex is colored with the pixels from the RGB camera when the object was scanned. Be sure to save in a directory you can find.